Keen to put the Sunil Narine controversy behind them, Kolkata Knight Riders will begin their title defence against a formidable Mumbai Indians side in the opening match of the eighth edition of Indian Premier League at the Eden Gardens, in Kolkata, on Wednesday. The West Indies mystery spinner, who was reported for suspect action in Champions League T20 last year and went on to miss the recently-concluded World Cup, was kept waiting before getting a clean chit by the Board of Control for Cricket in India on Sunday. KKR, who have won two titles, in 2012 and 2014, since the acquisition of the Trinidad off-spinner in 2011 faces the biggest challenge this year as Narine's effectiveness with a re-modelled action is yet to be seen. But with evening showers predicted in the city on Wednesday, the spinners may find it hard to grip the white ball and the fielders will also have to put forth their sliding act carefully. On the field, both the sides match equally on paper but with little baggage of the past and some hard-hitting players in Corey Anderson, Kieron Pollard and new signing Aaron Finch will give an edge to Mumbai Indians. Kolkata will bring back happy memories for Mumbai Indians, who won their maiden IPL title at the Eden Gardens in 2013 when the Rohit Sharma-led side beat Chennai Super Kings in the final. 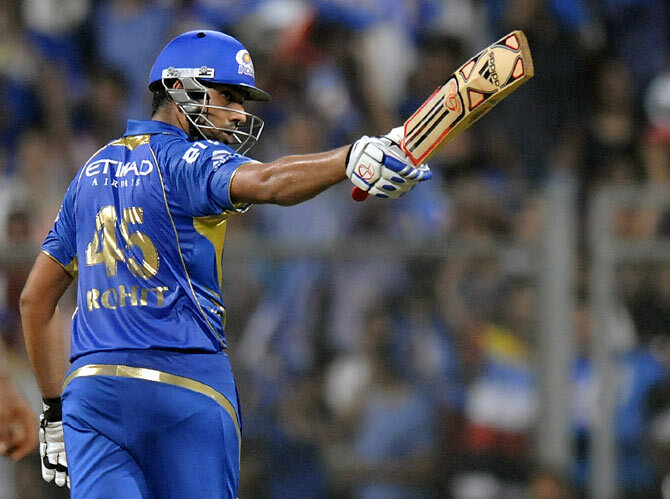 But their title defence went horribly wrong last year when they suffered five consecutive defeats only managed to squeeze into the play-offs courtesy of a dramatic win over Rajasthan Royals. They were beaten Chennai Super Kings in the eliminator and finished fourth. The chief architect of the win against Rajasthan, Anderson, who smashed an unbeaten 95 from 44 balls, will once again play a crucial role along with this year's star acquisition in Australian opener Finch. Add Rohit, the leader, to the chart and Mumbai Indians look a mighty batting line-up capable of terrorising any bowling side. Rohit is known for his inconsistency but he would look forward to start the campaign at his favourite Eden Gardens, where he had scored a world record 264 against Sri Lanka in a One-Day International. Kolkata's batting is equally strong and tested with last year's top run-getter Robin Uthappa (660 runs) leading the brigade. Uthappa continued his good run in domestic cricket for Karnataka as he finished top in the Ranji Trophy run scoring charts with 912 runs from 11 matches and the explosive opener along with skipper Gautam Gambhir would look to give the perfect start before the likes of Manish Pandey, Suryakumar Yadav take charge. Yusuf Pathan may not have been in the best of form in the recent past but given his credentials to win a match single-handedly in subcontinent conditions, the senior Baroda pro is worth a bet. As far as the foreign recruits are concerned, World no. 1 all-rounder Shakib Al Hasan of Bangladesh will play a crucial role, while the veteran trio of Johan Botha, Brad Hogg and Azhar Mahmood may come handy. While Lasith Malinga and R Vinay Kumar will lead the pace line-up for Mumbai, the home side will have Morne Morkel and Umesh Yadav who will look to carry forward their good showing in the World Cup. In the spin department, the experienced duo of Harbhajan Singh and Pragyan Ojha can be quite a handful with the bat and would be expected to do a lot of damage on the slow Eden track. Off the field, the Mumbai Indians' support staff bench is one to look forward to. 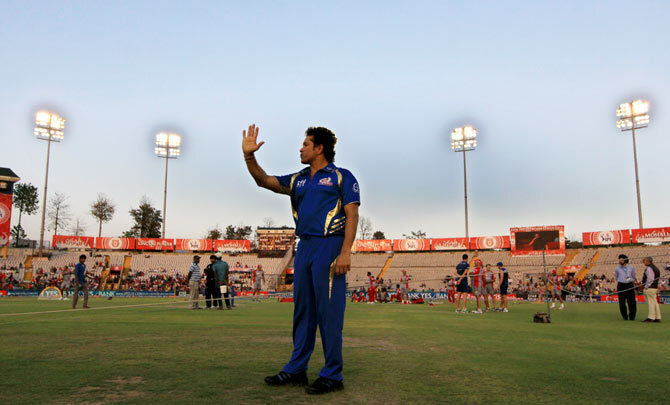 With three-time World Cup winner Ricky Ponting as coach and maestro Sachin Tendulkar as the team icon, the star-studded support team which will also have John Wright, Jonty Rhodes, Shane Bond, Kiran More, Paras Mhambrey and Rahul Sanghvi. Kolkata Knight Riders: Gautam Gambhir (captain), Robin Uthappa, Manish Pandey, Suryakumar Yadav, Ryan ten Doeschate, Shakib Al Hasan, Yusuf Pathan, Andre Russell, Kuldeep Yadav, Morne Morkel, Patrick Cummins, Piyush Chawla, Sunil Narine, Johan Botha, Azhar Mahmood, Umesh Yadav, Veer Pratap Singh, Brad Hogg, Aditya Garhwal, Sumit Narwal, KC Cariappa, Vaibhav Rawal and Sheldon Jackson. Mumbai Indians: Rohit Sharma (captain), Aaron Finch, Ambati Rayudu, Abhimanyu Mithun, Aditya Tare, Parthiv Patel, Keiron Pollard, Corey Anderson, Lasith Malinga, Harbhajan Singh, Jasprit Bumrah, Josh Hazlewood, Marchant de Lange, Pawan Suyal, Shreyas Gopal, Lendl Simmons, Pragyan Ojha, Mitchell McClenaghan, Aiden Blizzard, Akshay Wakhare, Nitish Rana, Sidhesh Lad, Hardik Pandya, Jagadeesha Suchitch, Unmukt Chand and R Vinay Kumar. Guess the most successful IPL team!